Technology is transforming all facets of our lives, especially in forms of transportation. Roger Xie, student and part-time Actuarial Analyst at Cover-More Travel Insurance, illustrates a number of these changes and outlines how they affect the insurance industry. From the internet to smartphones, technological advancements have been and will continue shaping our lifestyle, the global socio-economic landscape, and the toolsets available to professionals of all trades. At this point, we are at the edge of yet another technological revolution: the rise of driverless vehicles, shared mobility services and electric vehicles will have a far-reaching impact on our society and economy, radically transforming the global transport ecosystem and beyond. At the same time, this revolution will present various new opportunities and challenges for actuarial professionals. 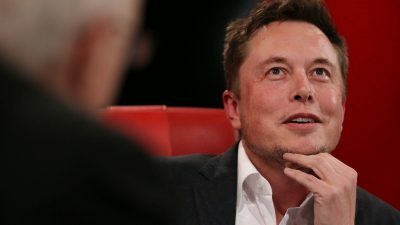 As of the time of writing, carmakers including Tesla, BMW, Mercedes and Volvo have already integrated, or are soon to integrate, self-driving features into their vehicles that will enable partial or full autonomy. With companies worldwide[i] pouring a staggering amount of resources into developing the required technologies, and some already reaching significant milestones[ii], the much-rumoured driverless cars, or autonomous vehicles have finally emerged from their sci-fi fantasy status to become a promising reality, contingent on the ultimate alignment of technology enablement, regulatory approval and consumer adoption. 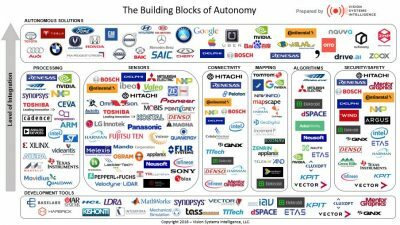 BI Intelligence’s Self-Driving Car Report (2015) predicts ten million self-driving vehicles (semi and fully-autonomous) to be on the streets by 2020. The global rise of shared mobility services in recent years has offered the public a wider range of mobility options and significantly enhanced urban mobility. The enormous success enjoyed by ride-sharing service providers including US-based Uber and China-based Didi Chuxing have placed them amongst the most valued companies in the world. The benefits associated with the rise of shared mobility services are: reinforced by the driverless car technology, increased utilisation rate of vehicles can reduce car ownership and consequently result in less demand for designated parking facilities, potentially freeing up property resources in cities. Furthermore, the reduction in the number of vehicles, complemented by rising popularity in hybrid and electric vehicles, will likely lead to cleaner cities. Shared modes of transport are expected to continue improving and growing in significance. Combined with existing modes of transit, this robust, intelligent transportation network will mean easier access, lower costs, cleaner cities, and therefore better overall living standards for citizens worldwide. Besides the obvious fuel-saving benefit, electric vehicles (EVs) offer numerous other advantages over their internal combustion engine (ICE) counterparts: inherently fast acceleration, lower maintenance due to design, quieter operation, zero emission, etc. With rapid breakthroughs in battery technology and the growing number of charging facilities globally, the once much ridiculed EVs have regained the confidence of consumers worldwide, demonstrated by approximately 400,000 pre-orders of Tesla’s mass market Model 3 vehicles[ix]. 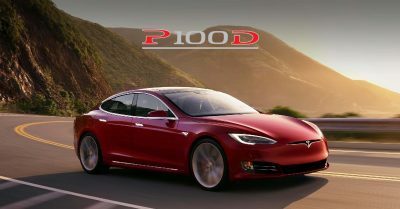 Countries including Norway, Germany and China have announced ambitious plans and incentive programs for promoting EVs and restricting gasoline cars and this movement is strengthened by manufacturers worldwide releasing aggressive plans to challenge Tesla’s supremacy in the EV market. Fall in Personal Lines Motor Insurance: With human errors accounting for 90% of road accidents[x], driverless cars possess the potential to remove this human element of risk and thus dramatically improve road safety. The emergence of shared-mobility services, alongside continuously operational driverless fleets will likely increase the vehicle utilisation rate and reduce car ownership. With fewer drivers, fewer vehicles and significantly fewer accidents, conventional personal lines motor insurance business is expected to significantly shrink in size, if not completely disappear. Competition within the industry is likely to intensify, following decreasing premium rates necessary for reflecting the reduced risk[xi]. Rise in Commercial Lines Motor Insurance: As vehicles become automated, they effectively become the drivers and as such, liability may be transferred from drivers to manufacturers. If this happens, the underwriting process will be radically different from existing practice. For example, risk assessments could become vehicle-based instead of driver-based, using rating factors such as brand, software version, etc. Therefore, insurers could potentially arrange these product liability insurance policies directly with the manufacturers, implying a shift to the B2B operating model. Improved Claims Processing: The availability of data collected by autonomous vehicles can largely simplify, or even automate, the investigation of accident claims. The “black box” data will give insurers a detailed description of every incident, allowing each case to be accurately and fairly assessed, potentially eliminating the possibility of fraudulent claims and scams. On a lighter note, while much potential remains for optimising the existing transportation network. Concepts around potential new modes of ground transport are well worth exploring. 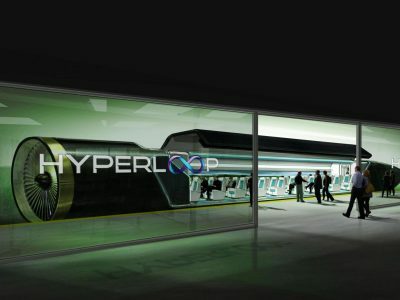 The so-called “Hyperloop” high-speed rail system is one such adventurous yet practical concept, with the exciting potential of enabling a 55-minute trip between the CBD’s of Sydney and Melbourne. As we observe the unfolding of what UBS calls the fourth industrial revolution – the era of extreme automation and connectivity, it must be recognised that all industries, not just transport, are open to disruptive innovations. Therefore, future-minded actuarial professionals will have important roles to play in assisting government and business in steering through the upcoming waves of revolutions. Conceivably, such functions would include predicting and managing emerging risks, ensuring smooth transitions between different phases of social-technological development and helping organisations take advantage of upcoming opportunities and capture new value. There may even be opportunities for actuarial professionals to be directly involved in the development of emerging technologies (e.g. analysis of fleet data). [xi] Although some argue that in the short term, the cost for repairing autonomous vehicles could be high, counteracting the effect of reduction in accidents and potentially inflating the premiums. Roger Xie is an Actuarial Analyst at Suncorp with a passion in technology, enterprise risk management and community service. You can connect with him on LinkedIn or contact him at roger.xie@suncorp.com.au.